East Coast Real Estate is one of the most well-established and experienced Real Estate Agents in Pattaya, and on the entire Eastern Seaboard of Thailand. We have a huge selection of houses and condos available for sale and rent in Pattaya, Jomtien, and the surrounding areas. Unlike many other real estate offices that have come and gone, we have been successfully growing our business and our reputation for over 18 years. Our knowledge of the real estate market in Pattaya is therefore very extensive and among the most up-to-date you will find anywhere. Backed up by our friendly and approachable style of customer care, we are proud to be your best choice for taking the confusion and stress out of your search for property in Pattaya. Whether you're looking for a studio apartment for one, a 5-bedroom house on the beach for a family, a beautiful plot of land to develop your perfect home, or even an off-plan purchase, East Coast Real Estate has the inventory and in-depth knowledge of the local market to guide and assist you every step of the way. Pattaya City is only an hour away from the International Airport, with access getting easier and easier all the time. In recent years, every part of Pattaya has undergone rapid growth, with a corresponding increase in amenities and conveniences for its residents. This trend is only expected to continue, so if you've been considering making a move to Pattaya, or thinking that it might be a good place to invest in property, don't wait another day. There's never been a better time to jump in, embrace a new way of life and make your dreams come true! 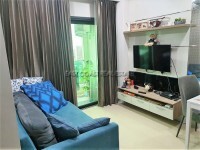 Pattaya, like much of Thailand, has lately undergone rapid growth in its real estate market. By far the most prevalent form of accommodation in Pattaya is the condominium, of which there are thousands available on the local market. We would be pleased to advise you on the best approach to take and the right questions to ask yourself as you make the decision whether to rent a condo in Pattaya or perhaps purchase a condo here. Once you've answered this most important question, we can get to work and help you find a condo that is perfectly suited to your way of life and budget. If you feel that buying a house in Pattaya is perhaps more your style, talk to us to find out more about all of the available options and forms of ownership. Certain areas are of Pattaya are attractive options for owning a house while other parts of Pattaya may be more suitable for renting a house on an ongoing basis or for shorter-term accommodations. We also have many homes in our portfolio that would be highly suitable to consider as an investment. Here again, there is no need for you to feel overwhelmed and unsure. Just get in touch with East Coast Real Estate so that we can help you see clearly what the best options and advice are for your needs. In addition to houses and condominiums for sale and rent, we also have many Commercial Properties available, suitable for investors seeking to capitalise on the growing economic opportunities here in the land of smiles. With the purchase or lease of a commercial property, it is even more advisable to proceed with care and caution, and only with the benefit of advice from the seasoned professionals at East Coast Real Estate, who have extensive knowledge of all aspects of the commercial real estate market in Pattaya. Property dealings in foreign jurisdictions can be stressful, with many unknown dangers and pitfalls lurking for the inexperienced. Whether you want to buy, sell, rent or invest in property in this area of Thailand, the smartest way by far is to proceed only with the advice of people who have the most thorough understanding of the local market. 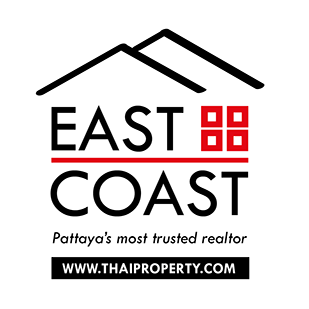 Our professional team of expatriates and Thais collectively has over thirty years of property purchasing and investment experience, with 18 of those years specifically gained in Thailand. Throughout all that time, we've been building a solid reputation for honesty and integrity, and we are vigilant in continuing to maintain the highest standard of professional ethics in all of our interactions with our clients. As part of our dedication to making the process streamlined (and stress-free), our website is brimming with useful information that we are pleased to offer for any potential buyer or tenant. This is useful information that you will certainly find invaluable when considering a property purchase in Pattaya and surrounding areas, and a good place to begin educating yourself on various aspects of buying property in Pattaya and in Thailand.